TGaS Advisors is a highly-regarded benchmarking and advisory service for the pharmaceutical sector. It provides research and surveying advice through ‘VHows’ – short pieces of content that use survey data to answer questions for the benefit of business around the globe. 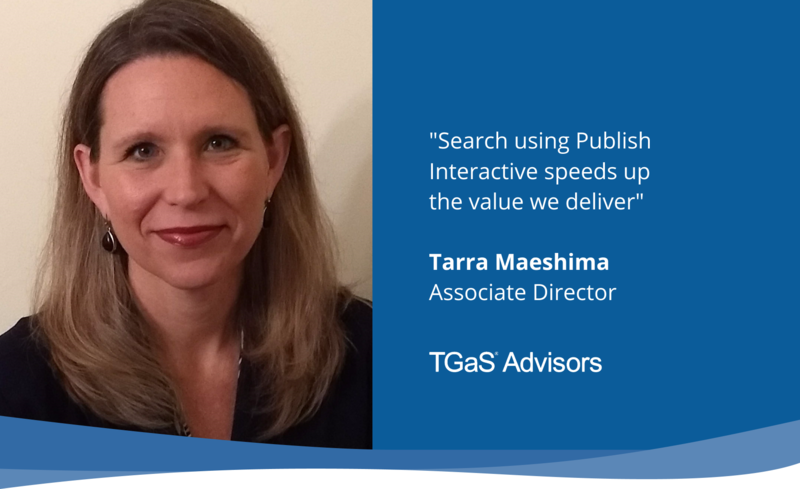 Advice from TGaS is much sought-after, yet before it started using Publish Interactive’s content management and publishing system, it didn’t have a repository for its highly-valuable information or a destination where customers could search through previously published content. Data and insights were created then emailed to customers as PDFs. There was no central point where clients could search and access content. The approach relied on clients overseeing their own libraries. Inevitably, clients would lose track of their data and insights or they would have difficulty accessing this information. TGaS saw an opportunity to add real value to its offering by supplying access to its entire knowledge base and help clients make better use of their content. With Publish Interactive powering its Insights Portal, TGaS was able to make its back catalogue of VHows and reports available to its customers. In addition, the smart tools built into the portal means TGaS can now help customers understand the depth and variety of content they already own, maximise its value, and easily gain access to insights. “Customers regularly use data to gain buy-in from colleagues on internal decision-making, so TGaS needed to make its content accessible around the clock,” says Tarra Maeshima, Associate Director of TGaS Advisors. When a client registers for portal access, Tarra offers each a demo where she sets up a Saved Search and an alert on their behalf. This, she says, encourages customers to maximise the value of access and it helps establish a high-value relationship between TGaS and the customer. 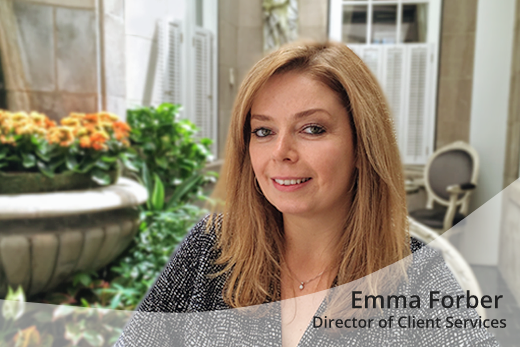 The combination of alerts, the anytime, anywhere self-service access to information, and fact that the portal can be used as a common reference point during conversations with clients adds real, tangible value over the course of a client’s membership.